Are you having fun talking fonts this week? I hope so! If you’ve missed any of the posts about fonts catch up with How to Install Fonts and Organizing and Managing Your Fonts. Today we are looking at the difference between .ttf and .otf fonts. You can use either .ttf or .otf fonts in Silhouette Studio or Design Space. .ttf stands for TrueType Fonts. TrueType fonts were created in the 1980’s by Apple and Microsoft, as a solution to fonts that would work universally between the two different operating systems and with most printers. .otf stands for OpenType Fonts. Opentype fonts were created in the 1990’s by Adobe and Microsoft. Opentype fonts extend the amount of characters available (each font can hold up to 65,000! ), and supports additional features like ligatures, small caps, alternate characters, swashes, and more. Ligatures: Two or more letters that are connected. Example: Both words are written in Sherlock Pro. The second word shows a ligature of the M and the P.
Small caps: All letters are rendered in capital letters, with intentional capital letters appearing larger than the rest. Example: Both words are written in Sherlock Pro. The second word is written in small caps. Swashes: Leading and trailing decorative elements. Example: Both words are written in Sherlock Pro. The second word uses swashes at the beginning and the end. Alternates: More than one style of a letter are available in the font. Example: Both words are written in Sherlock Pro. The second word uses alternate letters. The differences are subtle, but look closely and you will see them. Isn’t that neat? I bet you have several OpenType fonts with hidden elements that you haven’t discovered! To access all the features of OpenType fonts, you’ll need Adobe Photoshop or Adobe Illustrator, or you’ll need to access them using a character map. Before you go searching your fonts, I have to tell you this: not all OpenType fonts are created equally. Some designers choose to not map the OpenType fonts entirely. This means that unless you have an Adobe program, you may not be able to use a character map. If you do not have Adobe Illustrator or Photoshop, read the information in the font description carefully before purchasing a font. I’d hate for you find out that you don’t have a program that will allow you to access the advertised features. Now that you know that differences between TrueType and OpenType fonts, I’ll teach you how to use a character map in tomorrow’s blog post to access some of the “hidden” features. GREAT explanation! I’ve never read a post that really described the differences as well as you have! My question is: When given the choice of installing TTF or OTF, should I always install OTF? I do have Adobe Illustrator. This is so helpful! Thank you! My question, if given the option (and I do not have adobe illustrator) but can use the character map and MainType 7.0 to access extra characters, which should I download, OTF or TTF? I always download the OTF if I have a choice. Can I use an .otf font on a Silhouette? I’m new to this and want to be sure. 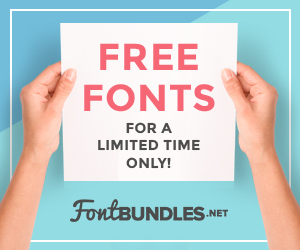 I ordered a font collection from Creative Market. I just received a message that they’ve issued an update that now has ” PUA encoded versions of the fonts. Use these fonts if you are working with Microsoft, Office, Silhouette, or other programs that do not support Open Type. Access all of the characters without work-arounds.” I was happy to see this because although all fonts in the collection loaded to my mac, only one (Hanley Block) was showing up in Silhouette Studio. So here are my questions–should I uninstall the old font files before installing the new ones, and would you recommend OTF, PUA encoded OTF, or TTF? I’m running these through SS, not Adobe. Thanks so much for your advice and assistance! I’m new to Cricut and Design Space. I hope this question isn’t totally idiotic. I just downloaded a free font of the week and it’s OTF. I thought I went through the steps of installing by extracting and then right clicking on each file and installing. I’m not seeing the font in Design Space. Did I miss a step? Very possible!!! I didn’t see that I could install OTF files to Design Space so I wasn’t sure exactly what to do here. Thanks for your help. Close Design Space and reopen it. If it is installed on your computer it should show up. THANK YOU!!! …but UGH, I should have look into this sooner. All the fonts I have to re-install. 😛 I want my swashes! sigh. So if you can use OTF on a silhouette, am I correct in assuming you can use them on a cricut explore also.